War in Nagorno-Karabakh: What would it mean for Georgia? April 2, 2017 marks the one-year anniversary of the most serious fighting over Nagorno-Karabakh in more than two decades. Last year’s round of fighting, triggered by an offensive by Azerbaijani forces against Nagorno-Karabakh, followed a steady escalation of tension and military operations that seriously undermined and weakened the already fragile 1994 ceasefire. More broadly, last April’s fighting not only confirmed the “frozen” conflict over Nagorno-Karabakh had entered a new, much more serious combat phase, but also revealed a new level of risk of upsetting the already delicate state of regional security and stability. Beyond the intensity of the fighting, the April 2016 “four-day war” was significant for another reason. More specifically, for the first time, a large-scale Azerbaijani military offensive succeeded in achieving the limited objective of seizing and securing territory. A sustained “arms race” trending toward consistent increases in defense spending and the procurement of more advanced offensive weapons systems, mainly from Russia. 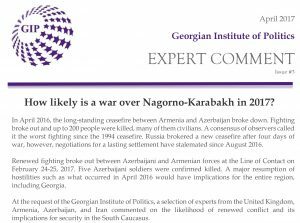 Against that backdrop, the risk of renewed hostilities over Nagorno-Karabakh has increased for several reasons. First, for the Azerbaijani leadership, last year’s military offensive offered a convenient distraction from economic problems which have mounted in recent years due to dependence on the energy sector as the country’s main driver of growth. At the same time, a second, related factor is that a repeat military victory (i.e., seizing additional territory, no matter how small in size) is simply too tempting to forego. Such temptation is especially important for the Azerbaijani government, whose sense of humiliation and loss over the Karabakh conflict not only has deep roots, but has burdened several successive leaders. Such a reversal of fortunes on the battlefield, therefore, not only endows an embattled authoritarian regime with a degree of legitimacy, but also empowers a political leadership that has little popular support. Lastly, a final factor driving an increasingly likely resumption of hostilities stems from the absence of any real deterrence: nothing and no one is capable of pressuring or persuading Azerbaijan not to resort to an attempt to “resolve” the Karabakh conflict through the force of arms. Despite the increasing risk of a renewed Azerbaijani offensive targeting Nagorno-Karabakh, there are two key differences from the April 2016 context. First, unlike last April’s sudden attack, any Azerbaijani offensive would lack the element of surprise, a factor that was crucial to its initial breakthrough and subsequent territorial gains. A second major difference is that the defending Karabakh forces are now much better equipped and well-armed, in contrast to the military posture and disposition of its defensive units last year. For neighboring Georgia, which is already precariously balancing its close ties to both Azerbaijan and Armenia, any renewed hostilities and combat operations over Nagorno-Karabakh poses two distinct and direct threats to the country’s security. The first direct threat to Georgia’s security stems from the possible targeting of key regional energy infrastructure. The targeting of the Baku-Tbilisi-Ceyhan oil pipeline, for example, cannot be easily ignored or underestimated, especially given the danger of a quickly-expanding battlespace in the event that skirmishes quickly spiral out of control. Georgia also faces a broader, more strategic threat from resumed fighting in the form of the possible Russian response. 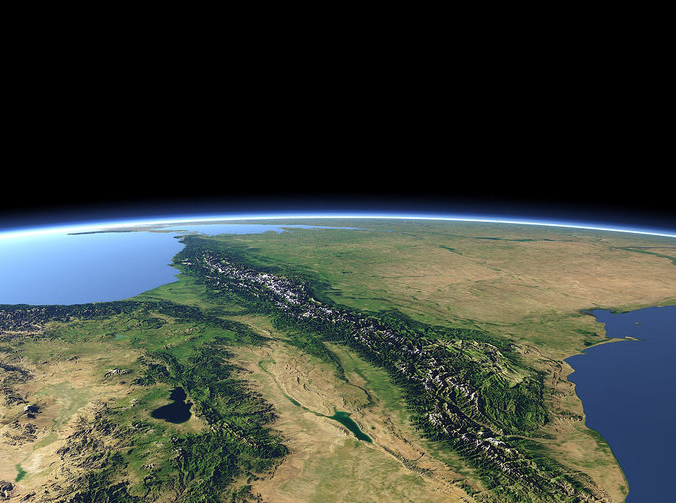 This threat is rooted in the geographic constraints and limits to Russia’s possible military response, which could involve the Russian military assets stationed in occupied South Ossetia and Abkhazia. In such a scenario, Moscow would likely pressure Tbilisi to grant overflight or even ground access through Georgian airspace and territory for the deployment of Russian forces. Moreover, such a Russian response would potentially leverage either the new “joint” Armenian-Russian military command unit or the Russian-led Collective Security Treaty Organization (CSTO), to both threaten Georgia and pressure Armenia. This possibility would likely consist of an attempt by Moscow to use the new joint command structure to deploy Russian peacekeepers in Nagorno-Karabakh, exacerbating regional instability and augmenting the already dangerous Russian military presence in the region. *Richard Giragosian is the Director of the Regional Studies Center (RSC), an independent think tank based in Yerevan, Armenia. The views and opinions expressed in this article are those of the authors and do not necessarily reflect the views of the Georgian Institute of Politics. 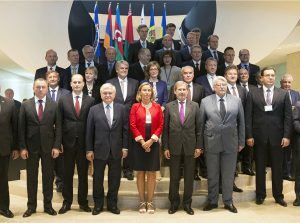 Why Can’t Georgia Take Full Advantage of Opportunities Provided by the Deep and Comprehensive Free Trade Area (DCFTA)?